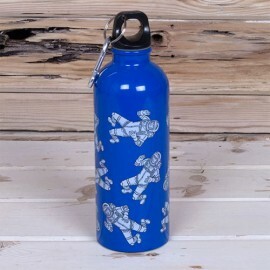 Spacewalk - Water Bottle - spacekids - space toys, dressing up costumes, kids spacesuits, astronaut food, cool space stuff! 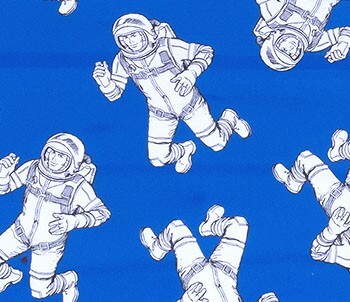 We've boldly gone where we've never been before... on a retro space adventure. Children and adults will love this kitsch gift range! A practical gift, this water bottle is decorated with our very own Really Good astronaut on a background of atmospheric blue. With a screw top lid and metal caribiner clip for ultimate portability!